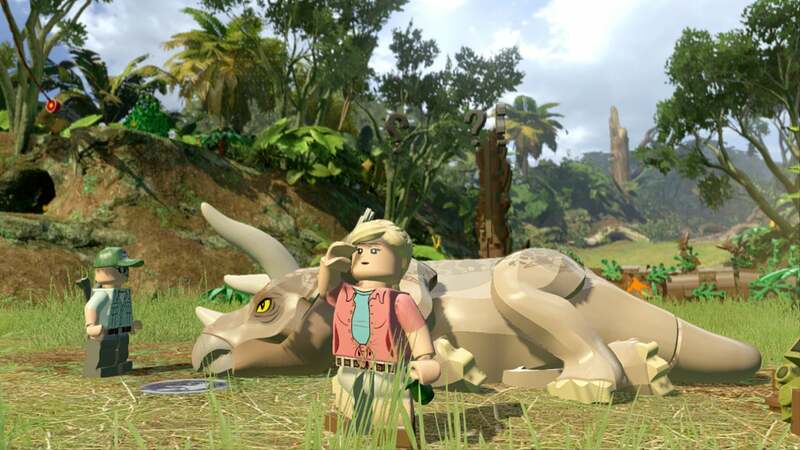 At this point, I think we can safely say the Lego games are a genre unto themselves. Take a successful existing franchise, Lego-fy all the characters, toss them into levels that explore key points in series history, and voila—another Lego game. I don't even know how many we've had since Lego: Star Wars first hit the scene, but it's a lot. And honestly I don't even know the last one I played. It's been a while. I got review code for Lego Batman 3 last year and it still sits in my Steam library, unplayed. I just couldn't. That might change with Lego Jurassic World. It's a Lego game. That much is clear from the demo I saw last week at GDC. There are blocky renditions of all your favorite characters, including a sleazy Dr. Ian Malcolm and way-too-serious Dr. Grant. The game still straddles that Pixar line of "family-friendly fare with just a hint of edginess to appeal to adults." Playing as Dr. Ellie Satler, for instance, you'll dive headlong into a pile of dino-poop multiple times while trying to solve what's wrong with a triceratops—the iconic Jurassic Park scene, but tweaked for that Lego humor. Other scenes are treated similarly. The terrifying T-Rex can be distracted with an enormous squeaky dog bone. Doctor Grant hacks through foliage with his trusty raptor claw. Jeff Goldblum winks at the camera because he's a creep. There's even a Lego version of Mr. DNA because of course. It's...well, it's a Lego game. I keep repeating that, but there's really not much more to say about the framework propping up this Jurassic Park homage. The game will take place across all four films (this summer's included) and there are five levels per movie. Great, now that all the boring stuff is out of the way. That's right: Lego Jurassic World will let you pit dinosaurs against each other. Or take control of a dinosaur and fight other dinosaurs. It's like one giant prehistoric PETA nightmare. It's like you're caveman Michael Vick (except, of course, cavemen didn't exist at the same time as dinosaurs). Each level has a piece of amber hidden somewhere. 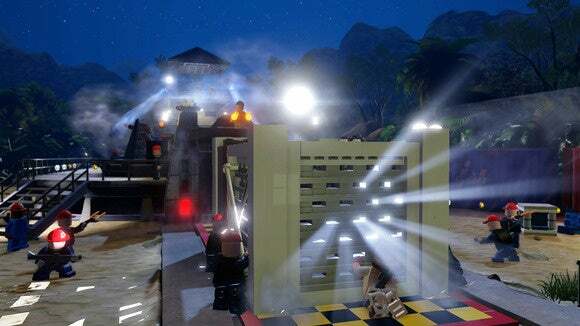 This is pretty par-for-the-course as far as Lego games go. There are always hidden collectibles all over the place. These pieces of amber let you unlock dinosaurs though. All twenty are available in the hub world, where you can, I repeat, make dinosaurs fight each other. If you're not already standing up while reading this, slamming your fist into your chest and yelling with excitement, well then you're dead to me. I literally don't know what other dumb thing I could say to get you more excited than you should be right now. Oh, maybe that you can take the smaller dinosaurs into the campaign itself. 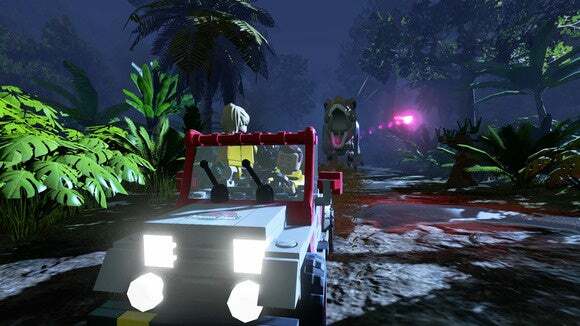 You can play Jurassic World as a velociraptor! Do you want to know what it's like to reenact key Jurassic Park scenes as a velociraptor? Because I sure as hell do. 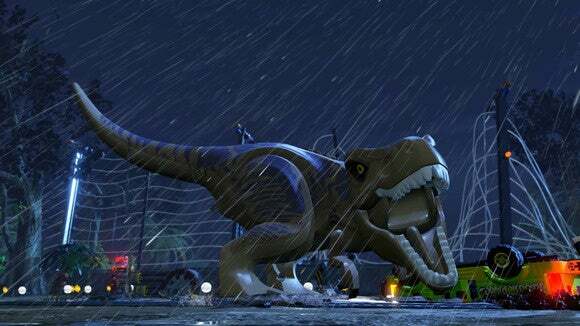 So yeah, Lego Jurassic World is just another in a long string of Lego games, and that's how I was prepared to write this story at first. At this point, as I said, it's a genre. 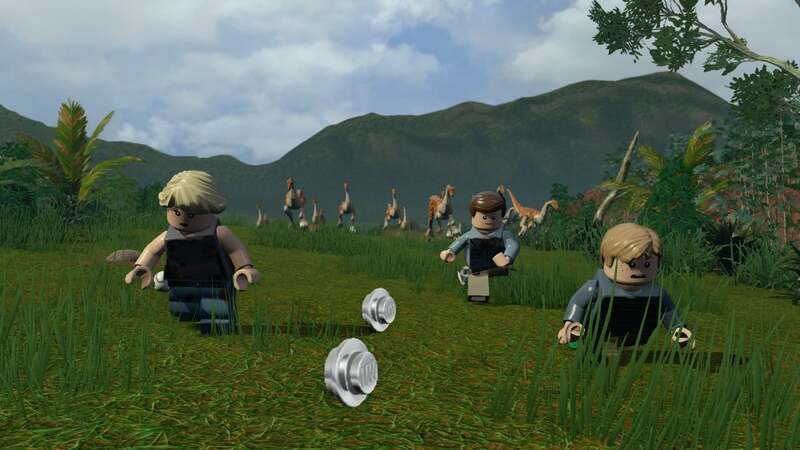 It's unlikely you're playing these because you just love Lego games. They're pretty much all the same. No, you're probably playing it because you like the source material. And I like Jurassic Park. And I like dinosaurs. And I like dinosaurs fighting. Sue me. No court in the world (or at least no court made up of second graders) would convict me for looking forward to this one.